MANILA, Philippines — A member of a lumad organization was shot dead early this week in Arakan town, Cotabato province while a peasant leader in Misamis Oriental survived an attempt on his life late last week in the latest incidents of attacks against activists, especially in Mindanao, human rights groups said. 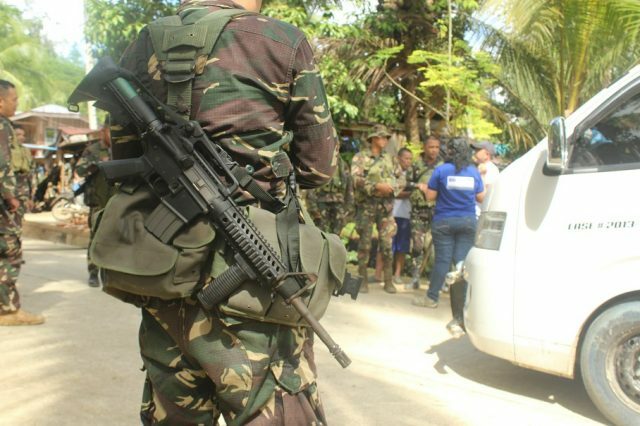 Karapatan in Southern Mindanao said Ricky Olado, 30, a member of the Tinanaon Kulamanon Lumadnong Panaghiusa, was taking a passenger on his motorcycle towards Barangay Datu Ladayon when he was chased by two gunmen, each riding his own motorcycle, who shot him several times until he died around 10 a.m. Sunday. Olado’s passenger was wounded and is being treated for his wounds, the group said. On the other hand, the farmers’ group Resisting Expansion of Agricultural Plantations Mindanao Network, said Arturo Colao, 56, of Balingasag town, was hit in the hip, near his spine, by one of two men riding a motorcycle who shot him on January 25 in Puting Balas, Talisayan town. The full-time organizer and provincial officer of the Misamis Oriental Farmers Association was attending the birthday party of a colleague when the gunmen drove up, stopped about a meter from where Colao was sitting and fired at him. One of the gunmen then aimed for Colao’s head but his gun misfired. Colao had been receiving death threats and was being trailed by unknown motorcycle-riding men, according to REAPS. On May 1, while on his way to join the Labor Day rally in Cagayan de Oro City, and again on April 22, on his way home from an Earth Day rally, he was trailed by motorcycle-riders. MAPASU is the same group based in the town of Lianga whose leader, Dionel Campos, and another tribal leader, Datu Jovello Sinzo, were executed in front of hundreds of community members, including children,by members of a militia even as a nearby Army unit looked on September 1, 2015. The same gunmen of the Magahat-Bagani militia also slit the throat of Emerito Samarca, administrator of the award-winning Alternative Center for Agricultural and Livelihood Development, inside the school. The killings sparked the mass exodus of tens of thousands of lumad from the hinterlands of the province. To date, although suspects have been charged, no one has been arrested or tried. A number of evacuations have happened in the province since then. MAPASU said their current plight began shortly after the New Year when troops from the 75th and 36th Infantry Battalions and 16th Army Special Forces “were deployed in the mountain areas of Lianga, Marihatag, San Agustin, Tago and San Miguel” towns. Since then, the group said, “our lives were disturbed affecting our farming and livelihood,” as well as their children’s education.